Living with a double chin can make you feel uncomfortable. Some individuals constantly try to hide their double chin because it makes them feel unattractive and self-conscious. Many have tried to get rid of their double chin by losing weight. Unfortunately, the fat under the chin can be quite stubborn and stick around even if you are at a healthy weight. We would like to tell you about the ultimate double chin treatment known as Kybella®. If this is your first time reading about Kybella®, you should know it does not involve surgery. 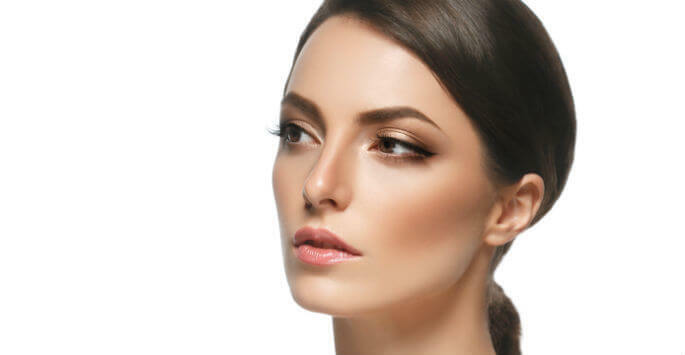 While some individuals have felt very satisfied with their results using liposuction to get rid of a double chin, we know that there are a lot of people out there who feel nervous about using surgery to remove fat from such a sensitive area. This double chin treatment can help you to get rid of your double chin without surgery and all of the hassles that come along with it. This product is delivered directly to the fat via injections. The main ingredient in the product breaks down the fat cells it comes into contact with. It is a synthetic form of an acid that is naturally produced in the digestive system. When the fat cells are damaged by the product, the body gets rid of them naturally. Most individuals need several injections in order to get rid of the fat under their chin. After a short consultation that is designed to make sure that you are a good candidate for the treatment, the injection session can begin. The medical professional who works with you will carefully draw a grid on your double chin. Each point on the grid will serve as a guide where the injections will be given. You should know that the treatment does not provide instantaneous results. It takes time for your body to naturally remove the fat cells that have been damaged during the treatment. In order to qualify for Kybella® injections, your double chin needs to consist mostly of fat. This is something important to mention because there are a lot of individuals who have a double chin that is made up of fat and loose skin. Kybella® does not do anything to help individuals who have loose skin. If an individual has loose skin and unwanted fat, using these injections along with some type of skin tightening treatment may help them to get the results they are looking for. Here at The Dermatology, Laser & Vein Center, we can discuss your overall health and make sure that the Kybella® treatment is right for you when. If you are interested in the ultimate double chin treatment, we warmly invite you to make an appointment with Cincinnati, OH, our caring and experienced professionals will be happy to explain the process in greater detail and answer any questions you may have. Contact us today to set up your consultation – we look forward to speaking with you!